Editor's Note: This week we welcome the debut of The Spine, a new book column covering the literary scene of the Bay Area in reviews, interviews, guides, event previews and more. 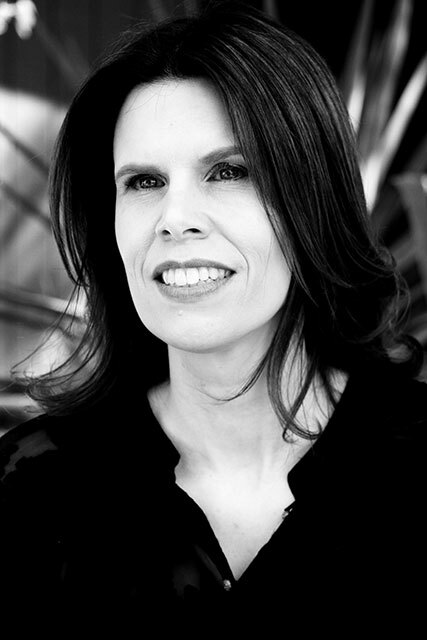 Guiding us is award-winning writer Leilani Clark, who's contributed to Mother Jones, Civil Eats, Time Magazine, the Rumpus and the North Bay Bohemian, in addition to KQED. Running biweekly, The Spine is your smart check-in on what's happening in the region's book world. Into the Valley, the debut novel from Ruth Galm, opens with a 30 year-old secretary from San Francisco cashing a counterfeit check in a Central Valley bank. The woman, named B., has landed in the hot, dry agricultural region -- in a new Mustang paid for by check fraud -- after hearing a man on the city bus mumbling about the "long table of land just beyond the mountains and the bay." "She imagined in this long unvarying plane, all the contradictions of the city might fall away. That its bareness would reveal something, provide an answer she had failed to acquire. A place of unvarnished truth to which she must go." 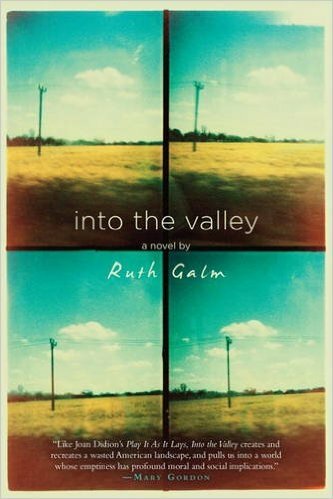 'Into the Valley,' by Ruth Galm. B. doesn't know what she wants. She's foundering, suffocated by the concepts of femininity available in 1967, the year the novel takes place. B. slashed her given name, Beverly -- with its "lift at the end like a promise made without her agreement" -- down to one syllable while in college. Still, she's dismayed by the strange new breed of young women on the streets of San Francisco, with their "grass-smoking and greasy hair, the idea of a counterculture, the attraction of some newer freer community, opposing itself to the mainstream." In fact, B. mourns the era when women wore gloves, combed their hair, and wore lipstick and dresses, like her own from I. Magnin. Yet these material trappings are the first to go as B. drives up and down the valley, becoming increasingly feral and undomesticated. Her ivory sheath grows stained and wrinkled. Her bone-colored heels lose their sheen. She loses a tampon in her body for days. Her pink and pearly nail manicure becomes chipped over dirty fingernails. B. is plagued by a mysterious malady she calls "the carsickness." Dating, working, applying her toilette as taught by her mother -- none of it has relieved the ailment. The escape to the car, the movement, in some way, lessens her nausea. The carsickness seems to be a manifestation of anxiety, an extended panic attack, brought on by the dissonance between what society expects of B. (blonde, pretty, WASP-y with "movie-star looks") and B. 's psychic inability, or unwillingness, to indulge in the privilege wrought by these gifts. Daughtry, a laborer who makes extra money on the side cashing counterfeit checks, enters the picture, and B. finds a way out of the binary gendered straight-jacket -- the choice between looseness and suffocation. But not in a romantic relationship with Daughtry. Instead, B. 's relief is found in the banks and in the searing heat of California's Central Valley. Galm grew up in San Jose and lives in San Francisco, and has a native's knowledge of the geography; the social and geographical constraints of San Francisco offer a perfect foil for the heat and isolation of the sunburned valley, and its bland, tired people. B. discovers a "cool and expansive" calm in the lobbies of the banks where she cashes her forfeited checks. "I like the banks," B. tells a young hippie hitchhiker who becomes Thelma to her Louise for a brief, combustible few days. "I like the colors and the furniture and the people. They're safe and quiet. It's not for the money." The banks morph into addiction, the only place where the carsickness lets up. Ultimately, it's unclear whether B. is mentally ill or if she's a violently inclined subversive -- "a twisted Donna Reed show," as the young hitchhiker says. What's certain is that Galm, in a similar fashion to Doris Lessing's The Golden Notebook, has powerfully captured a woman's righteous resistance in the face of a rapaciously gendered society. "There's an order to things," B. 's mother, with her obsessive attention to how things should be, tells her daughter, "and I think it would help if you followed it." These directives are metaphorically tossed out the Mustang window as B. flies past the tomato fields, almond orchards, and dusty truck-stops of the dry valley, towards the Sutter Buttes, the site of her unhinging. In the same way I've rooted for other doomed women from literature (Anna Karenina and Bertha from Wide Sargasso Sea come to mind), I found myself rooting for B. But is she really doomed? Or is she free? "It would not matter who was in the pink adobe house with her, she did not want to live with any of them. She did not want to make fish soups. She did not want to be taken care of or to fix her hair. She wanted only to get away, to start over, to undo something that seemed to bind her," B. realizes in a new Motel 6 somewhere off the highway. The final destination: her own unvarnished truth. Speaking of controversial and complicated women characters: Jonathan Franzen makes several appearances in the Bay Area soon. His latest novel Purity -- which is partially set in Oakland and Santa Cruz -- has already stirred up satirical responses to reviewers enamored of Franzen's Masterful Intellectual Brawn. Whatever one might think of Franzen, he has a gift for capturing the intense, complicated, messy nature of the modern family. He appears at Bookshop Santa Cruz on Aug. 31, Book Passage in Corte Madera on Sept. 1, and Santa Rosa High School Auditorium on Sept. 2. My favorite Bay Area bookstore is Point Reyes Books, but I also have fond memories of Book Passage in Corte Madera and Booksmith in San Anselmo. I'm still mourning the loss of Oliver's Books, also in San Anselmo. I still have some antique volumes of 19th-century poetry that I bought there as a teenager. My favorite is an illustrated Keats collection with the inscription: "Merry Christmas to the School Ma'am from the Wandering Critic, 1893." 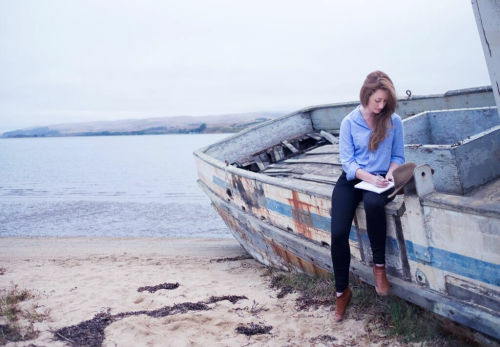 When you lived in Point Reyes, did you have a favorite cafe or spot for writing? In the early mornings I liked to sit and write at either Bovine Bakery or the Pine Cone Diner. Both were great for early morning writing because neither had internet, so I could work without interrupting myself. In the afternoons, I'd write at the Blackbird Cafe when it was still there, because I could sit at the window and watch the tide come in to Tomales Bay. I also liked to write at Drake's Beach. It's a great place if you want to "write" by talking into a tape recorder as you walk, as I did sometimes. Other times I'd sit in my car parked right at the beach's edge and look out over the waves. Did you find any literary community in Point Reyes or San Francisco either as a child, or later, as an adult? I moved away from the Bay Area after high school, but while I was growing up I found literary inspiration from great and dedicated teachers as well as from my friends, all of whom were rather bookish. When I came back home for summer vacations as a college student, I found a women's poetry group that met in Larkspur that was a very fruitful environment for getting work done. Where did you go to find writing or story inspiration? For cadence and imagery, I like walking in nature, especially along those long beaches in Point Reyes National Seashore. For stories and connective insight, nothing beats the library. I found some real treasures in the Marin County Civic Center Library and at UC Berkeley. 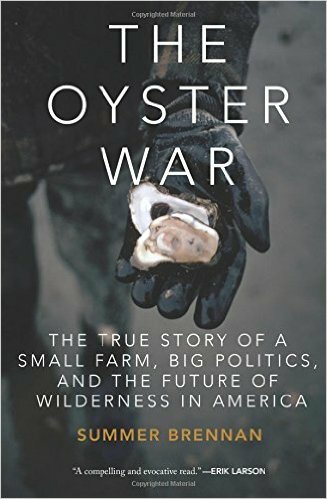 'The Oyster War,' by Summer Brennan. There are so many great Bay Area writers! I've loved books by Isabel Allende, Tamim Ansary, Michael Chabon, Dave Eggers, Karen Joy Fowler, Jane Hirschfield, Ursula K. Le Guin, Jack London, Michael Pollan, Amy Tan, Vendela Vida, John Steinbeck, Christopher Moore. I have to say though that my favorite Bay Area writer is Rebecca Solnit. Any favorite bit of local literary lore? I love that Jack London was an oyster pirate! 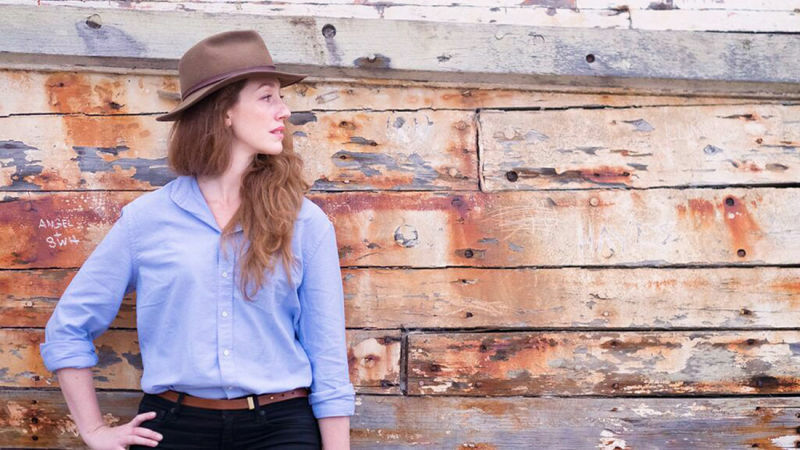 Summer Brennan appears at Book Passage Corte Madera on Sept. 2, Point Reyes Books on Sept. 3, Books Inc. Opera Plaza on Sept. 9, and Copperfield's Books Petaluma on Sept. 10.